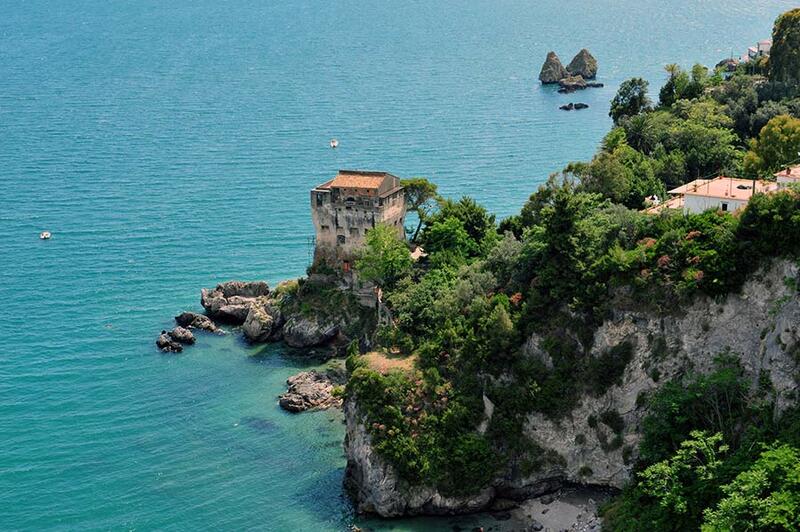 The school will take place in Vietri sul Mare (Salerno, Italy) in the period June 6th - June 10th, 2016, and will be located in the Lloyd's Baia Hotel. It will consist of four courses scheduled from Monday 6th in the morning to Friday 10th in the afternoon. The lectures will be delivered by C. Casolo, Á. del Río, A. Facchini and A. Macintyre. The aim of the school is to introduce PhD students and post-doc researchers to advanced methods of group theory. 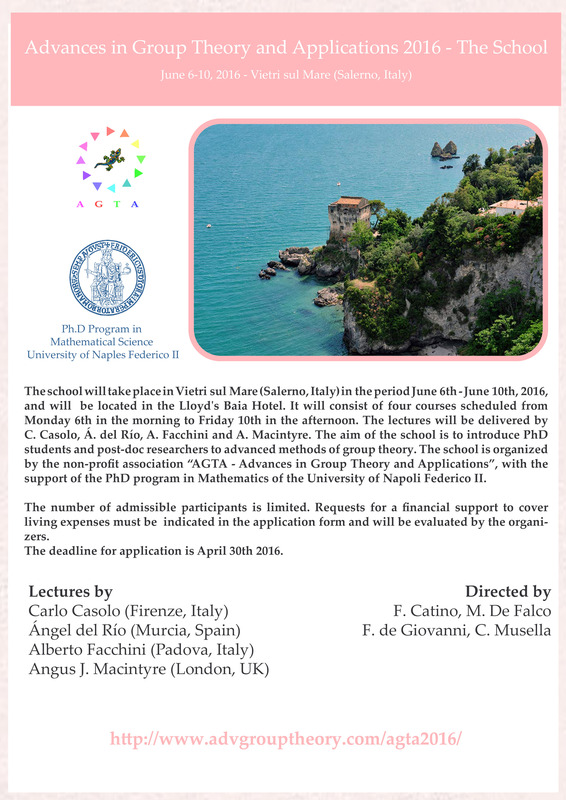 The school is organized by the non-profit association “AGTA - Advances in Group Theory and Applications”, with the support of the PhD program in Mathematics of the University of Napoli Federico II. The number of admissible participants is limited. Requests for a financial support to cover living expenses must be indicated in the application form and will be evaluated by the organizers. The deadline for application is April 30th 2016.